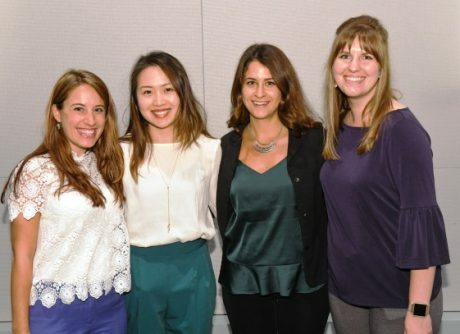 Awards and scholarships for MS professionals recognize achievement and encourage further advances and excellence in research and clinical expertise. These resources allow current MS professionals to pursue specialized education, explore new research areas and increase their understanding of MS clinical care. 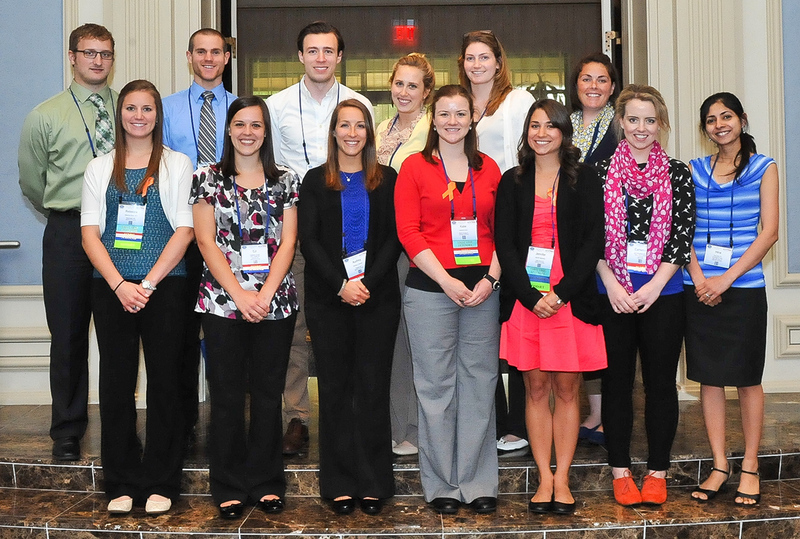 Annual meeting scholarships enable recipients to receive specialized accredited training not available to them within their home institutions or practice settings. What does this mean? Multiple Sclerosis healthcare teams are better equipped than ever to offer excellent care for their patients. 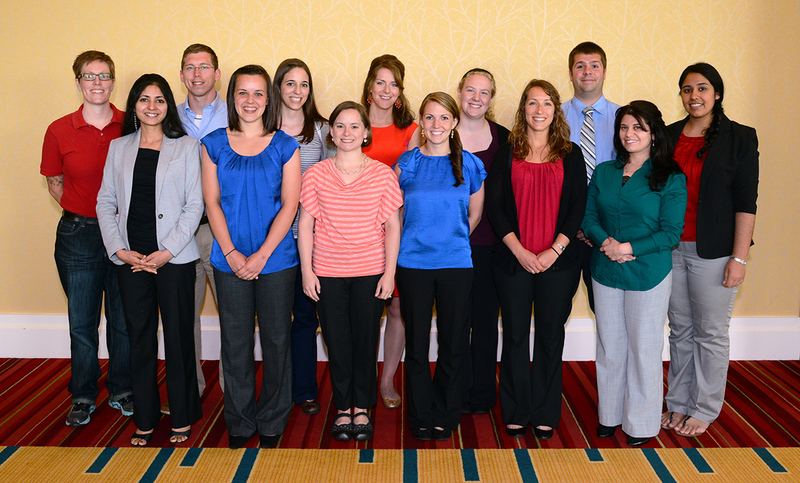 Now completing the tenth year FCMSC MS Rehabilitation Therapy Specialty Training are programs for rehabilitation professionals working in physical therapy, occupational therapy and speech/language pathology with an interest in MS. This initiative, through grants from AbbVie and the CMSC, supported by the Foundation of the CMSC, will provide each trainee with 35 hours of training covering all aspects of comprehensive care provided at an MS center. 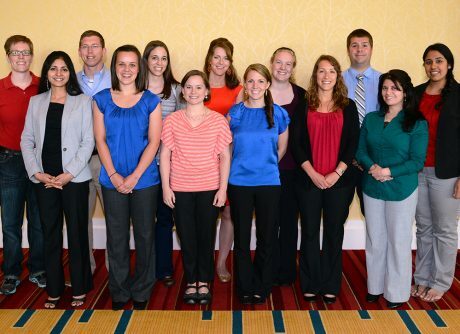 Emphasis will be in the trainee’s specific area of rehabilitation (physical, occupational or speech) to promote awareness and utilization of standard assessment tools, outcome measures and interventions to provide optimal safety and effective function for people living in MS.
Lacey Bromley, PT, DPT, MSCS (picture on the left), is the Program Director, MS Rehabilitation Therapy Specialty Training Program. List of Sites that provided specialized training to MS Rehabilitation trainee scholars. 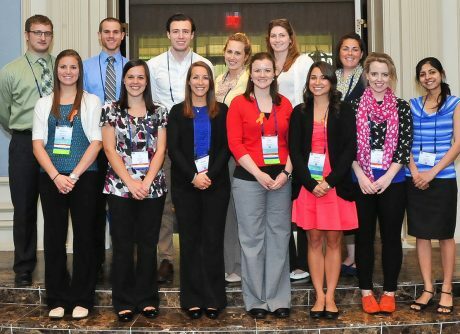 2017 MS Rehabilitation Therapy Specialty Training scholars are supported by FCMSC grant from Acorda Therapeutics, Inc.
2016 FCMSC MS Rehabilitation Therapy Specialty Training Scholarships are supported by FCMSC grant from Acorda Therapeutics, Inc.
For outstanding work in the field of neurorehabilitation. This award also honors the multi-disciplinary spirit prevalent among MS professionals. Dr. Labe Scheinberg was one of the earliest advocates for bringing together professionals from many disciplines to address MS. This award is generously supported annually by family members of Dr. Scheinberg. The FCMSC gratefully acknowledges the contributions of Mr. and Mrs. William Kristol, Dr. David Scheinberg, Dr. & Mrs. Ranard and Dr. Grace Minamoto. Does Participation in a Weekly Day Wellness Program Improve Overall Quality of Life for a Person Living with Multiple Sclerosis? The 2012 awardee, Sangeeta T. Mahajan, MD, F.A.C.O.G., of University Hospitals Case at Medical Center, Cleveland, Ohio, presented research titled, “Pelvic Floor Disorders and Multiple Sclerosis: Are Patients Satisfied with their Care?” Dr. Majahan holds a dual appointment in Obstretrics and Gynecology and Urology. She is recognized nationally for her work on Botulinium A Toxin for the treatment of refractory overactive bladder and outcomes research. 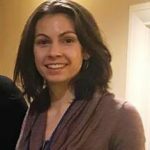 Her team’s work is important to multiple sclerosis, and has been actively aided by Ruth Ann Marrie, MD, MS, FRCPC(C) and Tuula Tryry, PhD, MAED, both affiliated with the NARCOMS MS Patient Registry. 2009 Labe Scheinberg awardees were Katrina Williams, Specialist Neurological Physiotherapist, Master’s of Applied Science, Bachelor of Physiotherapy, Grad Cert Higher Education from University of Queensland, Australia and Phu Hoang, Doctorate of Physiotherapy, Bachelor of Physiotherapy from Multiple Sclerosis Society of New South Wales, Victoria, Australia. 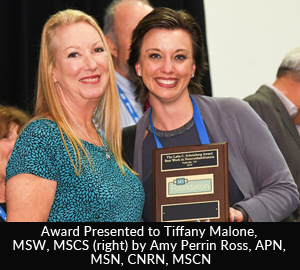 Their work entitled “Two Physiotherapy Models of Service Delivery for People with Multiple Sclerosis” was recognized as the most outstanding work in neurorehabilitation in MS, presented at the CMSC Annual Meeting by the Foundation of the CMSC. Jose A. Cabrera-Gomez, MD, PhD, FAAN from International Neurological Restoration Center in Havana, Cuba was the recipient of the 2008 Labe Scheinberg award.